Our team at Mid-Valley Community Clinic strongly believes that the best way to look after our patients is to prevent illness and accidents from occurring where ever and whenever possible. By providing a range of preventative care options, we aim to improve the health and wellbeing of our patients and cut the number of emergency visits they experience. Prevention involves taking positive action to stop something from occurring. In terms of your health, this can range from better care during pregnancy to nutritional advice and weight maintenance. All aspects of preventative care start with education. We support our patients in better understanding how their lifestyle choices affect their health and wellbeing. We then provide assistance in making changes to those choices. No one can make changes until they are ready, but everyone is more likely to be successful if they have the right support. Where we cannot personally provide the support you need, we will fully cooperate with other local services to ensure you always get the care you need. For preventative care to work at its full potential, patients need to be open and honest with their medical practitioner. That is why at Mid-Valley we value our relationships with our patients above all else. Our patients know that they can talk to their practitioner in confidence and that the dignity is safeguarded at all times. If you find talking to the doctor difficult, for whatever reason, you may confide in any member of staff. They will then support you through the testing and diagnosis process. Where into the care cycle does prevention fit? Preventative care is always the first step, but there are times when prevention does not, or cannot work. Where we are unable to prevent illness or accident, we will move on to diagnosis and treatment. In cases such as diabetes, this may simply involve further monitoring on the part of both the patient and the medical team. In other cases such as increased blood pressure, where lifestyle changes have had little or no affect, medication may be required. Prevention is not just about stopping illnesses, it is also crucial for preventing symptoms from increasing and for providing our patients with the best possible treatment, and quality of life. 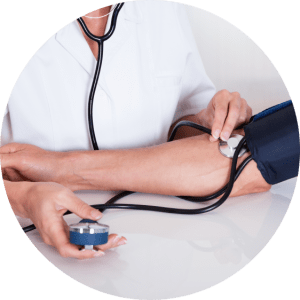 For more information on the preventative care services we can offer, or to put your health and wellbeing in the hands of professionals at Mid-Valley Community Clinic, call us today.